Here's a story you don't hear everyday: Lawrence and I met in April 2018 after I had flown into Las Vegas the evening before photographing Camille and Angel's wedding; He was my uber driver! During the ride from the airport to the Las Vegas strip, we had chatted about the usual stuff -- where you're from, what you do. It just so happened that I was a wedding photographer from San Francisco, and he was getting married in San Francisco (he's a bay area native) in December 2018! 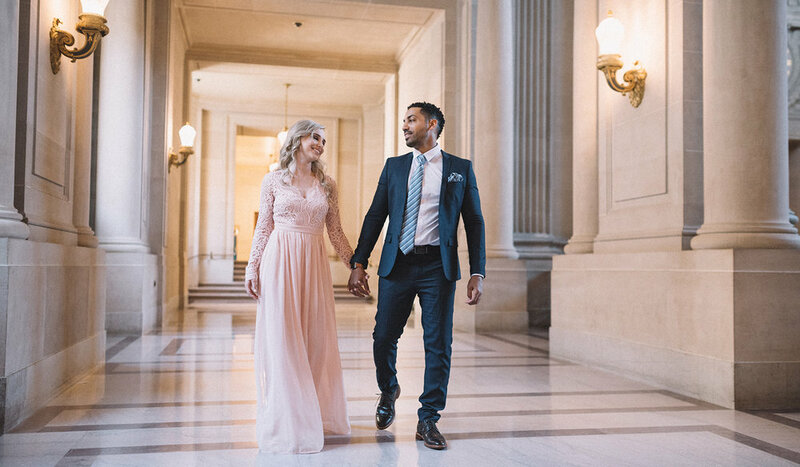 Prior to the ride's end, we exchanged contacts and fast forward a couple of months later, I'm at San Francisco City Hall, meeting up with Lawrence and Christine for their engagement shoot! The light was splendid that day, both inside and outside of City Hall, and Christine and Lawrence were both naturals. While I do enjoy the challenge of orchestrating an engagement shoot and setting up poses, every once in a while it's nice to just let the couple do their thing, taking in those genuine moments. On a warm August evening, I had the pleasure of photographing Francia and Leo's big day. You may remember them from their engagement session blog post, almost a year ago. From the stunning venue, to the beautiful ceremony, to the heartwarming speeches and toasts, to the sheer love that these two newlyweds were ready to show the world... This was truly a wedding for the books. All of the decorations were very tastefully thought out, not only embodying the personalities of the two newlyweds, but likewise telling their story just as well... While the sparkler exit was nothing more than icing on the cake. Thank you again, Francia and Leo, for the wonderful opportunity - wishing you nothing but the best! 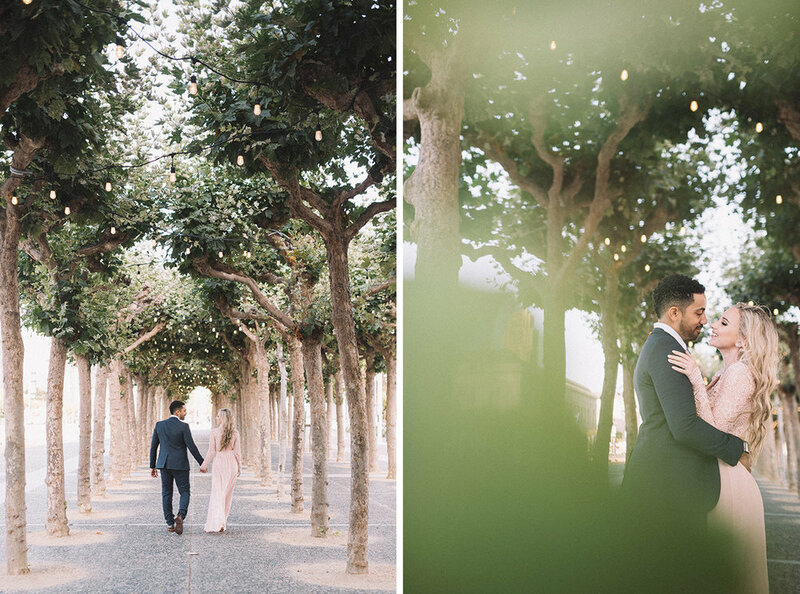 On a warm summer day in Fairfax, CA, Jessica and John celebrated their special day with what felt like a fairytale wedding. From the beautiful venue, to the tasteful décor, to the delicious food (catered by the wonderful folks at Straw from San Francisco), one thing never failed to compliment the next. Jessica and John were a breeze to work with, despite having only met them about a month ago, primarily because the three of us all shared creative minds – Jessica does modeling among other things, while John works in media and has also photographed his own fair share of weddings. Thank you, Jessica and John, for trusting my vision, and I wish you two a lifetime of happiness! I’d also like to give a special shoutout to my buddy, Matt, who referred me to this lovely couple. He was one of John’s groomsmen and trusted my craft enough to refer me, so I really appreciated that. Be sure to check out his work on Instagram (@saatchiphoto) – his stuff is among my favorites. Just moments after my last day of training at the Illumina HQ in San Diego, I found myself waiting at the airport – not for a flight back home to San Francisco, but rather to sunny Las Vegas to photograph a wedding! I’d like to give a special thanks to the newlyweds, Camille and Angel, for not only the opportunity to photograph a Las Vegas destination wedding in the first place, but also for the wonderful hospitality throughout the entire weekend. It’s not every day that you’re able to photograph a destination wedding, let alone for a lovely pair that you graduated college with, so I’d been looking forward to this event for quite some time. While most people leave Las Vegas feeling groggy, tired, and often-times hungover, I left feeling truly inspired and excited for what this summer has planned!